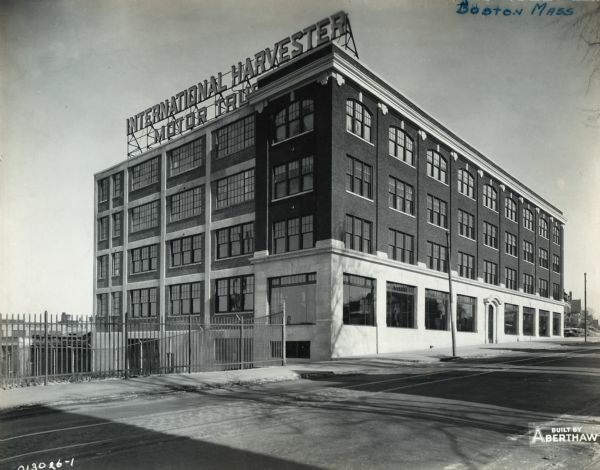 Exterior view of an International Harvester Company branch building. Large show windows line the first floor along the sidewalk. A large electric sign on the roof reads, "International Harvester Motor Trucks" and street railroad tracks run down the street. Residential houses are in the far background. The text at bottom right reads: "Built by Aberthaw."